Recent history has shown that Houston can experiences inclement and severe weather. This can include heavy rain, flash flooding, tornadoes, winter weather, extreme heat and more. Be aware of changing conditions by keeping tabs on weather. If you’re in Houston for the World Series, you can find the latest information on current conditions from the National Weather Service Houston/Galveston Forecast Office via their website (weather.gov/houston) or on Twitter and Facebook. For tips on what to do in specific types of severe weather, scroll down. When heavy rain falls in Houston, it can cause street flooding which makes some roadways impassible. 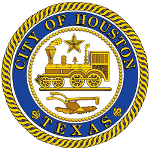 The City recommends that residents and visitors suspend traveling during periods of heavy rain and wait for the storms to pass so they are able to safely navigate the City. If you come upon an area of high water, DO NOT drive into it. The height of the water can be very deceptive, and can easily submerge your vehicle in a matter of seconds. In the event of heavy rain, some METRO routes may be suspended temporarily until conditions improve, so be aware of this as you make plans. Lightning occurs with any kind of storm system that may pass through Houston. If you hear thunder, seek shelter inside a building or a vehicle. Do not place yourself in open areas, such as parks, parking lots, or other areas. Stay in shelter until 30 minutes after you hear the last clap of thunder. If you’re attending an outside event, seek shelter and listen to instructions from event organizers. Tornadoes, while relatively rare, can happen in Houston. If you learn of a Tornado Warning for your area, you should immediately seek shelter in the interior room of the lowest floor possible until the storm passes or the warning is allowed to expire. If you are in a large facility or hotel, pay attention to the instructions given by building management. Vehicles and underpasses are not safe areas to ride out a tornado – seek shelter in a sturdy building immediately. Tornado warnings are issued by the National Weather Service, and you may receive a notification through the Wireless Emergency Alerts (WEA) system, so make sure your phone is capable of receiving these alerts and that you haven’t disabled them. In the event of a Severe Thunderstorm, the main threats are heavy rain, hail and strong winds. Travel is discouraged during severe thunderstorms, as they can quickly reduce visibility and cause damage to vehicles, and injury to people. If a Severe Thunderstorm Warning is issued for your area, seek shelter inside away from windows until the storm passes. Vehicles can offer a certain level of protection, but if you can find shelter inside, that is your best option. While rare in Houston, winter weather can cause major traffic disruptions if ice begins accumulating on area roadways. In addition to taking steps to keep yourself warm and sufficiently covered, to prevent frostbite, be prepared for delays on roadways, and if possible, avoid traveling by car. Bridges, overpasses, underpasses and parking garages are more at risk of icing because of the amount of concrete in them, which can ice quicker than asphalt. Be aware of this as you are driving, maintain sufficient following distances, and reduce speed. The Atlantic Hurricane Season runs from June 1st – November 30th. During Hurricane season, it’s important to be aware of conditions. The City will issue statements through AlertHouston and on our social media if the potential for a tropical threat is realized.